Marvel started in 1932 as a maker of under-counter refrigerators. Now its products include wine cellars/beverage refrigerators, refrigerators/freezers, refrigerated drawers, outdoor refrigerators, ice machines, beer dispensers, sinks and faucets, and refrigerators for people with special needs. Marvel’s wine refrigerator collection comprises of Chateau Collection, Champagne Cellar, Luxury Series, Dual Zone Wine Cellar, and Cigar Storage. Wine and cigars go well together. Thus, Marvel has answered that luxury by providing the Humidrawer™ (cigar storage drawer) as one of its products. The Humidrawer™ can be integrated into several models of Marvel wine refrigerators. 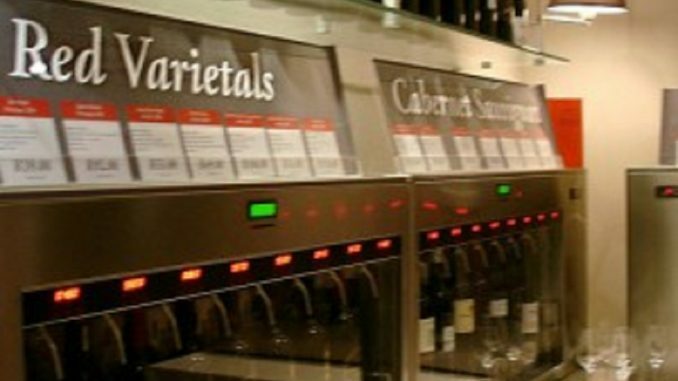 The Dual Zone Wine Cellar line of Marvel wine refrigerators is, as the name suggests, designed to store separately sparkling wines, reds, and whites. To enjoy the optimum quality of the wines, they must be stored in specific temperatures. Dual Zones hold up to 44 bottles. These wine refrigerators have shelves that glide easily and have shelf facings of a choice of white maple, gloss black, and stainless steel. To complete the look of these babies are dual-hinged, UV-resistant glass doors. The Chateau Collection holds up to 108 bottles. Wine refrigerator models of the Chateau have digital touch control panels with blue LED displays that are discreetly located. The Sentry System™ provides alarms for situations like slightly open doors, temperature, and power failure. Like most models of Marvel wine refrigerators, Chateaus come in lovely designs with shelf facings of gloss black, gloss white, stainless steel, and white maple to choose from. The Champagne Cellar holds up to 18 wine bottles and up to 15 champagne bottles. The shelves are spaced in a way to store large champagne bottle horizontally. The Champagne cellar features include stainless steel shelf facings on glide-out racks, glass doors, and reversible door swings. The Luxury Series is Marvel’s last collection of wine refrigerators. Luxury Series holds up to 90 wine bottles. Outstanding features of this line include the MicroSentry™ temperature monitor and alarm, LED displays, inclined display shelves with white maple shelf facings, among other features. Marvel is perhaps one of the most reliable wine refrigerator manufacturers nowadays. It is never a mistake to own a Marvel wine refrigerator. The Company answers to a wine connoisseur’s specific needs. If one needs to smoke cigars, Marvel has the answer through its Humidrawer™. If one drinks champagne only, Marvel answers that need through the Champagne Cellar. Decades later, Marvel still leads in the wine refrigerator markets. So take your pick and be amazed at the Marvel wine refrigerators’ style, elegance, and function.